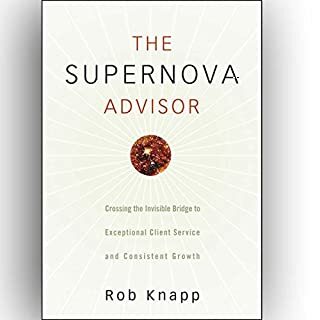 The Supernova Model is a client service, client acquisition, and practice management model that drives an explosive acceleration in revenue and client satisfaction by capitalizing upon the 80/20 Rule. First implemented by financial advisors at Merrill Lynch - under the leadership of author Rob Knapp - it has grown increasingly popular within the financial services industry. Attract and retain affluent customers and clients. The Art of Selling to the Affluent, 2nd Edition offers a detailed landscape of today's affluent. Put yourself ahead of the competition by knowing how the Great Recession has affected purchasing behavior and where the opportunities are moving forward. ©2014 Matthew Oechsli (P)2014 Audible, Inc.
Maybe. It seems like common sense to me to treat people with that "extra special something", but, I'm giving the book a chance to wow me. The narrator was clear and the sections are lined up in a cohesive way. 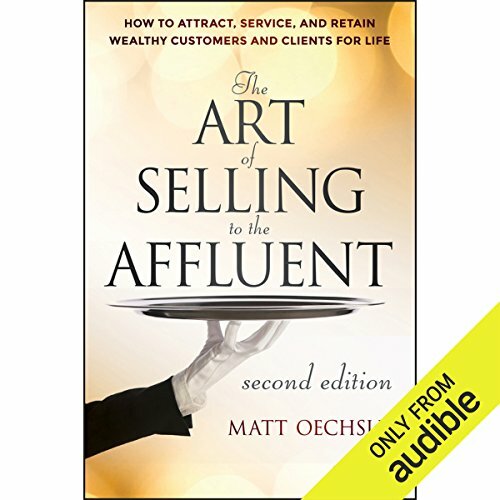 Who do you think would benefit most from listening to The Art of Selling to the Affluent? Yes, the author uses the word "affluent" way too much. (Paraphrased) "When dealing with affluent people, you must cater to their needs. The affluent pamper their pets as much as they do their kids, so remembering the things that are special to the affluent can result in repeat business." We get it. I am not a wealthy man currently but I plan on being one, one day. 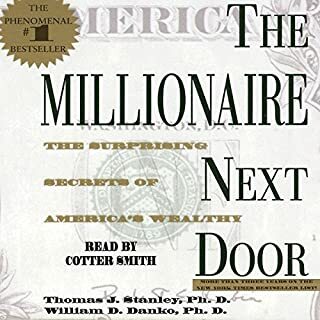 This book helped me to understand how people who are affluent come to make decisions in their lives and some of their shirt comings that need to be observed and taken note of. 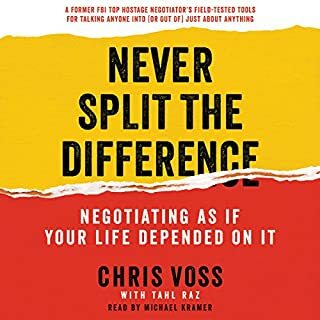 This book was too basic and general in overall ways to be better at sales and relationships with affluent (500k or more). 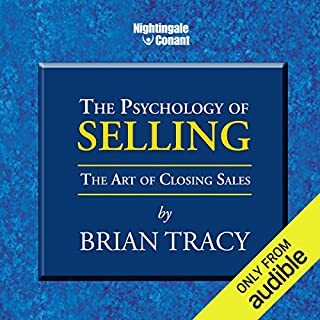 This would be great for someone new to sales. A lot of common sense which the book says if it is common sense then why do so people not do it. Lots of stats and data numbers as well. I'm writing this review about a year after I read it and now that I think about it, I think all reviews should have this much time. There is nothing about this book that is memorable. There are others that I bought from the same time that clearly tell you a "what is really important" or "this is why I wrote this. It will solve a problem." This book does not do that. 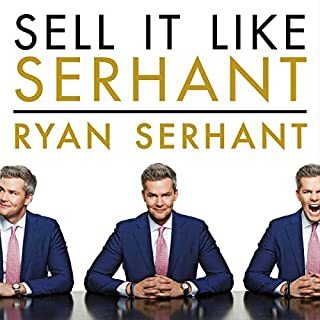 This book is for you only if you want an OK career. The author provides a lot of great advice. His advice is based on surveys. He cites statistics of how affluent buyers feel about different advertisement campaigns, industries, and sales behaviors. This book focuses on best sales practices post the 2008 financial crisis. I didn't buy this book to hear stats read back to me. Could've been a lot shorter if I just skipped to the summary sections. Not much new here for me. great examples of what to do and what not to do. very om-depth approach to affluent marketing. The book presents facts that a person with a BBA should know already. The difficult part of reading books like this is that they make the theories it seem easy to implement, when in reality one knows it takes a lot of discipline. Overall it was a good book. Don't waste your money or time on this book. If this is the first book you pick up on the subject and have never read anything else, then you might find it useful. If you are in any type of sales, and have been for more than 1 year.. Skip this book! 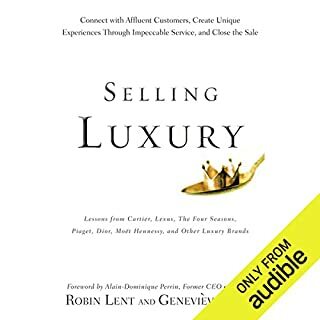 Great overview of how to approach clients whom are at a higher level of affluence, and can be used by even a new sales person in regards to understanding sales.